Tidy Mart welcomes the opportunity to be of service to your organization in supplying Manganese Ore that finds applications in varied industries. Finlay you founded trusted Manganese Ore manufacturers & suppliers, who exports high quality Manganese Ore that is widely demanded in the Market. We are supplying and exporting of high quality manganese ores that includes industrial manganese ores, natural manganese ores and pure manganese ores. 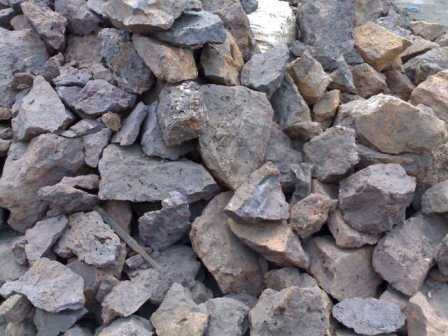 Tidy Mart offer high quality Manganese Ore that is widely demanded in the market because of its optimum properties, purity and other such features. Consequently, we are counted amidst the preeminent Manganese Ore Manufacturers and Suppliers. Manganese phosphating is used as a treatment for rust and corrosion prevention on steel making. Depending on their oxidation state, manganese ions have various colors and are used industrially as pigments. The permanganates of alkali and alkaline earth metals are powerful oxidizers. Manganese dioxide is used as the cathode (electron acceptor) material in standard and alkaline disposable dry cells and batteries. Tidy Mart procuring Manganese Ore from Australia, Brazil, Chile, India and Indonesia, and we can supply large volume of Manganese Ore, Our Manganese Ore mineral will be Inspected by SGS or Similar with 1% or 2% non-operative PB. Here we provided an LOI form, for Buyer's convince. All our buyers are requested to download the LOI from the following link and Fill, Sign, Seal send to our mail ID. Tidy Mart is now involved very actively Manufacturing and Supplying of Manganese Ore, Manganese, Natural Manganese Ore etc. Further if you have any quires related to Manganese import, kindly mail us with your entire queries. We are here to assist you in every possible way for mutual beneficial.